Document management solutions. How to implement it. customers data. Many companies operate on an ad-hoc reactive basis only developing systems when the need arises or when there is an obvious breakdown in the management of internal processes. Unstructured and ad-hoc solutions evolve out of a legacy of existent systems most of which are paper based resulting in duplication, non standard and system inefficiencies. This coupled with the increasing public awareness in the sensitivity of data exposes companies to unncessary risks and cost. How do you manage your documents? Information management is a critical part of the business process on par with more traditional business operations but few organisations consider it to be so or, have the time or expertise to build an information management program. Document Management is one of the more complex and sensitive jobs that an organisation has to manage. Documents are created, edited, published, revised and stored either as a paper file or electronically. This is referred to as the documentation life cycle and managing the procedure is known as document management. Companies create and store many business documents with people contributing to the system daily making the management of the process an even greater challenge. When a document is created electronically, it requires some storage space on a PC. Someone creates a document but it is feasible that several other people in the company may require access to it this can be problematic if the organisation has many employees and this is further complicated when you factor in employees who work remotely or are located all over the world rendering saving the document on a personal computer locally inaccessible. 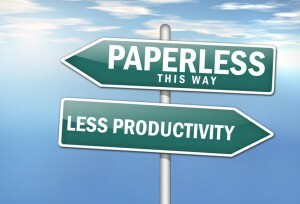 Document Management systems reduce paper filing provide instant access to files, can store any document type securely. Hosted document management solutions offer a pay-as-you-go model based only on the services you need and the volume you process. The solution provider is responsible for hardware and software upgrades giving you access to the latest features without capital expenditure. A hosted document management solution can be running in a matter of weeks compared to the months it takes to evaluate, procure and then install an in-house solution. The average business produces a massive volume of documents which can make locating and retrieving documents in a timely fashion a real challenge and to compound matters files are often filed in non standard indexing systems making documents difficult to find. A single source supplier for document management solutions can help reduce operational and legal risks by managing a company’s information assets as they have the expertise, infrastructure and knowledge to provide best practices for implementation. Workers waste thousands of pounds each year trying to find information that doesn’t exist, can’t be found or is recreated again. Up to 50% of our time can be wasted trying to find the information we need. Outsourcing enables the service provider to minimise your business risk associated with in-house solutions where physical records are moved offsite to storage facilities, scanned and then returned for re-filing increasing the risk of lost and incorrectly filed documents. Physical documents are easier to find, scan and can be filed in a single location and the paper document never leaves the security of the vendor’s facility. Audit trails are maintained making it easier to access valuable content. Managing documents with unstructured content and in a non standard format requires additional business and information technology resource. Documents stored in cabinets, record storage boxes and scattered in different locations and electronic files stored in multiple applications makes accessibility a real challenge. Using a DMS combines the cost effectiveness of traditional paper storage for the bulk of your records with the speed, convenience and cost savings of digital access. Files are kept in paper format and are scanned on demand. Employees want self service access and retrieval and as speed is of the essence digital file access has to be put in the hands of end users. A hosted document management system can support this requirement providing intelligent scanning and image capture features supported by a digitisation process. Once documents are imaged they can be made available via an FTP site (File Transfer Protocol), ECM system (Enterprise Content Management) or via a hosted repository. Few organisations have the resources or expertise to create or implement an effective document management strategy and solution. When outsourced the vendor takes care of the document management conversion, information security and privacy making sure best practices and compliance are followed. Implementing a DMS can be a foreboding exercise but using an experienced provider who can manage the complexities of setting up a program cost effectively and efficiently will save time and money and will provide considerable value to the organisation in the long term. Alchemy Document Management solutions and software creates a digital file cabinet for your company where you can securely store any document type and then find it within seconds. Providing document scanning, document imaging, document archiving, fax archiving and electronic records management capabilities. For news and updates please follow us on Twitter, Linkedin and like us on facebook! Thanks for the comment. I’ll definitely look you up.